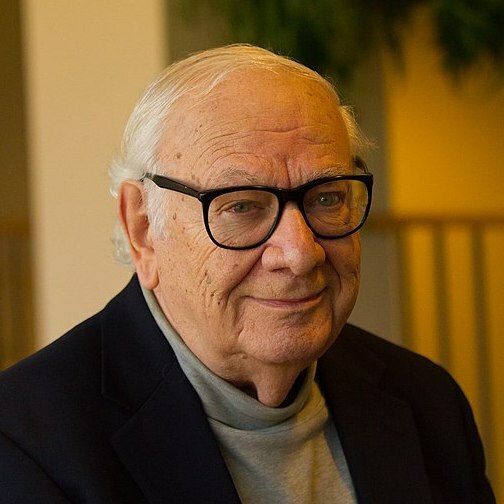 One month ago, on February 20, 2019, we lost master composer Dominick Argento. The affection I felt for the man and the respect I had for his art can’t be neatly summarized, but here is an appreciation adapted from words at a concert of his music at Hill House in 2008. 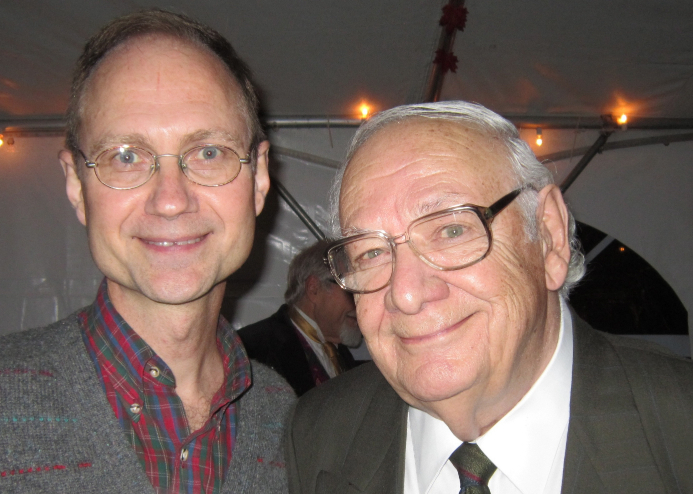 I was Dominick’s composition student, and one of his last teaching assistants in his forty-year teaching career at the University of Minnesota. What a tricky job the composer-teacher role is! For me, Elgar’s description applies: it’s like turning a mill wheel with a dislocated shoulder. But I admired the balance Dominick struck: never shirking the pedagogy; but never slighting the writing. The two are land and sea; they meet, but they don’t always mix. Dominick was my last teacher. I meant no disrespect to the other fine composers on the faculty of the U of M, but I had a pretty good idea about what I wanted: to work with Dominick Argento, and I intended to work with him for as long as he would allow. I had first heard his music about ten years before, catching the “Apollo” fanfares from In Praise of Music in rehearsal conducted by David Zinman backstage at the Eastman Theater, the extraordinary and brave last movement of that work—violins ascending solo, without harmonic support—into thin air at the end. And the University was generous in making that possible. It marked what would be a new age of song for me. When studying music, you learn from the hand—or the pen—of another. It’s an intimate, one-to-one relationship that develops over time. Of course, it’s a little more concrete when you’re dealing with piano keys, the choice of cane or breath control. But in every case, it’s a relationship founded in trust. Looking at a score, especially one fresh with erasures and coffee stains, you see the choices that person has just made, all spilled out onto a page, just because it’s eleven o’clock on Wednesday morning and it’s lesson time. Argento was encouraging, but he was honest and he was direct; I appreciated both, even when his candor sent me back to the piano to hunt a different quarry. Dominick’s example was as important to me as his words. It was wonderful to be able to talk about the old-fangled composers I loved, like Strauss and Mahler—and Elgar. But it was instructive to have glimpses into the molding of an opera like The Dream of Valentino, or a cycle like A Few Words about Chekhov. As you move through the Argento catalogue, you find no two pieces alike. No Quartets Nos. 1 and 2, no series of symphonies. Each work is conceived from the beginning as a unique entity, with its own shape and moreover, its own resonant point. That a good piece begins with a good idea. Find that kernel and allow it to flower in its own language. That beginnings and endings matter. That sometimes the greatest gift you can give the voice is a sustained tone that allows it simply to sound beautiful. That words have shaping power, and are worthy of respect and love. One of Dominick’s favorite moments: the lights go down and silence falls on an audience, the expectant hush before a world opens onstage. Argento’s work glows with warm strings, ringing percussion and resonant brass. And it illuminates through human voices singing passionately about things that matter. A lovely tribute to a great composer. Thanks David.